At eMichael pharmacy we are proud of our counseling service that we offer our patients with a smile! Easily requests refills online by filling the form to the right and your drugs will be ready when you arrive. 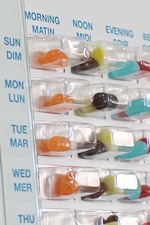 You will always know when to take your drugs with our blister packs which we prepare specially for you. 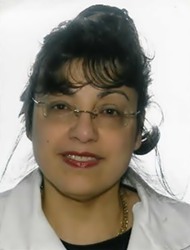 Pharmacist Eman Michael is an Egyptian academic, researcher, community servant, and the current Director of the eMichael Professional Corporation. Eman earned a Bachelor degree in Pharmaceutical Science from the University of Alexandria, Egypt in 1982 and later a Master of Science degree with a Thesis on Hepatotoxic Studies of some Centrally Acting Drugs. Following the completion of her Master degree, she was awarded to be Assistant Professor in the Medical Research Institute in Alexandria, Egypt. 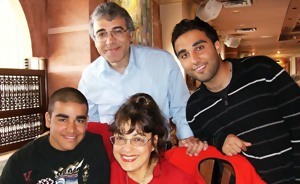 She immigrated to Canada in the early nineties and got her license to practice as a community pharmacist in 1997. She got a Certificate of Completion of Cardiovascular Program by Ontario Pharmacist Association and has successfully completed ACA’s Contemporary Prescription Compounding by the American College of Apothecaries Pharmaceutical. Eman Michael has had a prominent career as an academic, and then followed by practicing directly with her patients during her many years of service with Zellers, Lablows and Costco and many other independent pharmacies. She was awarded many letters of appreciations from her patients due to her excellence in customers’ services and patients’ care. The passion of providing exemplary health care services is the driving factor for Eman with emphasis on quality and patients’ well-being.